"I would build with the House Company again. You are paying a premium for the builder, however, they are very accurate with build costs (within 5%). Everything from design to materials and labor were excellent from start to finish. Any issues we have had (a couple) were resolved in a timely manner. Many people who drive by our house stop, pull over take in the design. 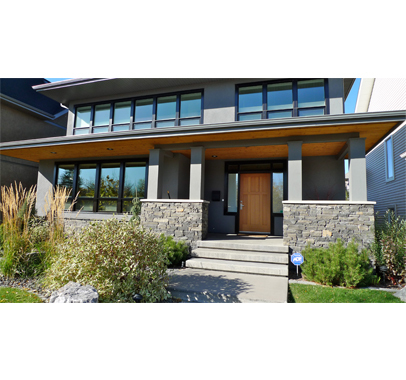 When people enter the home (including contractors) are amazed with the quality of material and craftsmanship through out the house." "Great experience from the consultation stage, design stage, development stage and completion stage. Very wonderful staff and ready to rectify any anomalies in a timely fashion when identified." "We were sold after meeting Jamie and David. Excellent people with a high regard for the customer and their satisfaction through all phases of the process. We were also sold on the fact they had their own team of finishing carpenters who also did the framing. 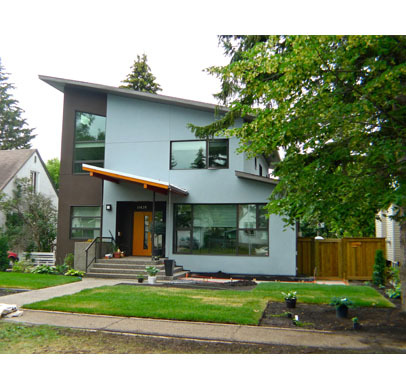 As we were working together to build a Craftsman home that truly copied the homes from the 20's that was critical. Trades coming in later commented that it was one of the squarest.truest houses they had ever worked in. Despite all the infills in our neighborhood (10-15 a year now) our house still gets rave reviews as one of the best people have seen to date. Exceptional trades that have stayed loyal to The House Company. 11 years later no issues to report. They were transparent about project costs allowing us to make positive financial decisions and they were perfect on their timelines. We consider them friends now and highly recommend them." 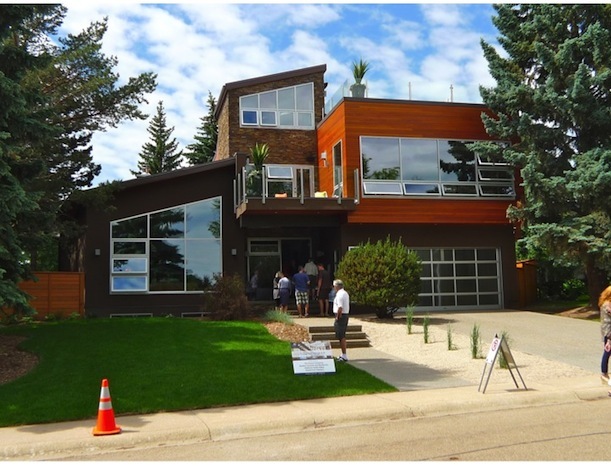 "We hired the House Company to design and build our house in Edmonton. We found them to be very creative and responsive to our needs and ideas during the design process. They build with the highest integrity and work ethic. They are honest and open with budget/cost updates and treat their sub-contractors well. We would definitely recommend them!" 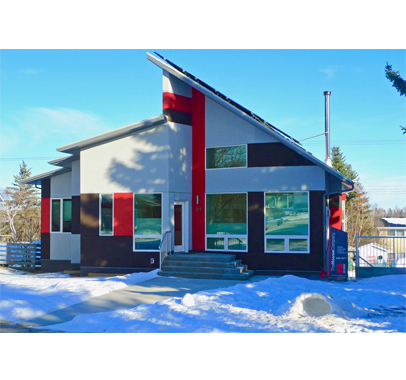 "We hired The House Company to design and build our house for an in-fill. Jamie gave us a beautiful and functional design that we love! Everyone at The House Company, including the subcontractors, was very easy to work with throughout the whole process. When mistakes happened (rarely), The House Company corrected them right away, sometimes before we even found out about them. 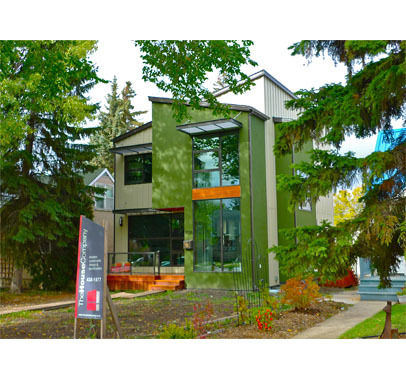 In my opinion, they are one of the highest quality custom home builders in Edmonton. If they can't build it, it probably can't be built!" 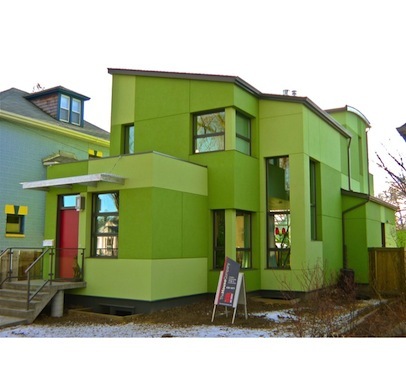 "Hired the House Co for design & build on infill lot. Hands-down best company - both in design/construction and customer service. Jamie, David and Graham are great....we still phone them with questions and they are happy to help....four years later! I would not hesitate to refer them to anyone looking for a top quality and green-minded builder that will work with you every step of the way - in design, construction and budget. They kept us on track with our budget and always thinking about spending smartly. 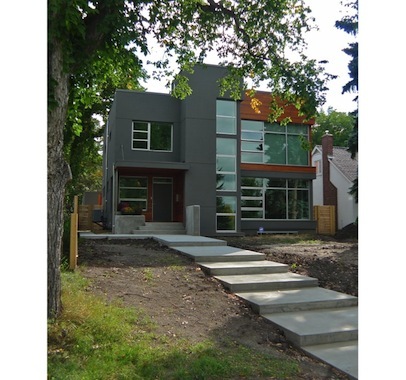 They are a creative bunch of people passionate about building cool homes!" 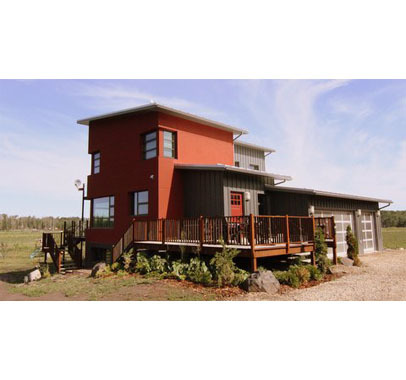 "We hired the House Company to design and build our rural home. Their creative design maximized southern exposure for nearly every room of the house, allowing us to benefit from the passive solar heating and bright sunshine during our winters. They were very responsive to all of our needs and came in under budget. We would not hesitate to work with them again." "We have been in our house for almost a year and we love it! We went with the house company because we wanted to build a modern, environmentally friendly, and original home. The architect designed our home exactly to our specifications. 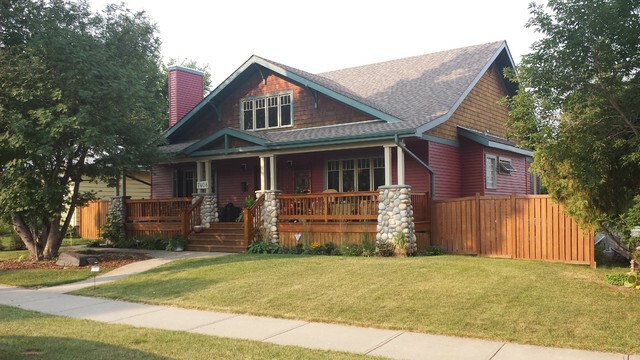 Our front porch roof plans were rejected by the city, but he fought hard, and we were able to get the front exterior built exactly how we wanted it . Jason, the onsite supervisor/head carpenter, ran the build extremely well. We were always treated with respect when we stopped by, and all of our questions were quickly answered. The build went smoothly and was almost on schedule (a couple of weeks delayed). The subcontractors and the building crew were so hardworking and professional. 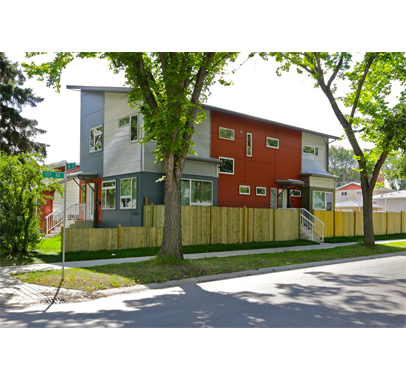 It was a really easy process getting a house built by The House Company." "Jamie and The House Company have designed and built us the house of our dreams. With its modern design, open areas, and energy efficiency, our home is both beautiful and practical. The main floor common area has many windows and lighting options, so no matter what time of year it is, or even what time of day it is, the mood of the house is constantly changing. We like to say the room has a thousand moods! As far as the construction of the house, The House Company was very professional and dealt with the few hiccups quickly and effectively. If any other building projects might be in our future plans, we would not hesitate to use The House Company again. A huge thank you to David, Jamie, Graham, and the whole House Company family from our family." "We're delighted with the House Company's restoration of the verandah of our 100-year old home. The House Company accurately diagnosed the verandah's complex problems, designed solutions that respected the look and sensibility of our house, and implemented them beautifully. Their workers were personable, patient and informative in responding to my questions and requests, and a pleasure to have around the house. The job was completed quickly and the cost was 11% less than the quote we had been given. Many thanks, House Company!" "Highly recommended. The team was professional, knowledgeable and shared their expertise freely without being critical of our ideas. I appreciated their collaborative approach and attention to detail." "Had an opportunity to work with David and Graham, highly professional and great people to work with. I would recommend my family, friends and coworkers if they are renovating a house or want to build a new house. They have unique design for homes and provide the best quality & customer satisfaction." See more reviews on our Houzz page!